A long time ago, A Geek Girl’s Guide wrote a gamer confession tag post, which was then picked up by fabulous bloggers like Extra Life, Falcon Game Reviews, and The Codex: Online. It’s been a while, I know, but this was a fun one and I’m always up for confessing my love for games, so here we go! There are very few games that I straight up “can’t stand,” as I usually find some enjoyment in the games I play. But… I guess this might be a controversial answer but I really, really do not like Pokemon Go!, not because of any inherent awfulness about the game. From what I hear, it’s quite fun, but while my brother and sister would brag about how they had met and talked to strangers because they were all hunting the same Pokemon, all I ever experienced was being interrupted and ignored in favor of imaginary characters on their phone screens. Play your games, of course, but not at the expense of the real live people sitting in front of you. It’s cliche, but I do have a soft spot in my heart for Zelda II: The Adventure of Link. I think that’s probably the one that comes closest to “love” that other people hate. For instance, I like Dragon Age II, and Mass Effect: Andromeda even though the internet says that I shouldn’t, but I don’t think either of those games are disliked as much as Zelda II. As far as I know, fans and franchise don’t go so far as to pretend they don’t exist. I’ve been asked a few times what is so great about it. And… what’s so great about any game? I had so much fun trying to battle my way through the different temples and find my way across the sprawling map. I loved the different moves that Link could pull, especially what I called the “hopping sword one” – which saved poor Link’s life often. And I loved sitting watching my sister and my brother play “pass the controller” as they tried to foil Ganon. I haven’t beaten it, and probably never will, but… oh wait. I actually wrote a whole post about this. My thoughts were tied between Journey and Dragon Age: Origins, the former because I just love the game, the music, the premise, and the beautiful, well, journey of it all, and the latter because, well, many reasons, some of which I’ve talked about before. Ah. Well this one is easy. Skyrim. Holy Maker, when I was playing through this and would go on forums, there were people who really and truly were living an entire separate life in Skyrim. And people would get into arguments about classes of characters and who was a noob and who had bad taste and… It was like watching people heckle over real people and events. I understand disagreeing, and I certainly don’t always agree with things that people do in games that I love, but we’re all here to have a good time, guys. That’s the point. 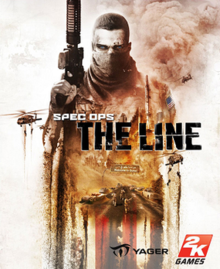 Another easy one: Spec Ops: The Line. I can’t even. I just can’t even. Half the reason was the game, and the other half was the smug, insufferable fandom that surrounds the game. I have a few. Spec Ops: The Line is one of them, as is Two Worlds II. I also thought I’d enjoy The Lord of the Rings: War in the North, but I spend so much time being annoyed at the way the game was set up that I couldn’t get into the game, which was a shame because, hey, more Lord of the Rings? Yes please. 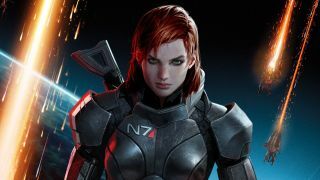 This might come as a surprise, but I really didn’t think I was going to enjoy the Mass Effect series as much as I did. I admit I only played it because I loved Dragon Age: Origins and Dragon Age II so much, and then I learned that BioWare also made a game about being in space. I’m not a huge fan of shooters, which is what the games evolved into, but a good RPG is a good RPG, whether I’m wielding dual blades and a bow or a Black Widow sniper rifle, I suppose. I can honestly say I don’t get really excited about upcoming games as I once did, and certainly not AAA games, with the insanity of hype and botched releases and such. I looked forward to Detroit: Become Human and was not disappointed, and that was the first game in a while that I saw a preview on YouTube of all places and didn’t click “skip ad” and also sat there enthralled, thinking “I have to play this game” at the end of it. But, to be honest, there is a new game I was told about not too long ago called Waylanders that I am pretty excited to see come to fruition. This time-travel RPG written by Mike Laidlaw of Dragon Age fame supposedly draws inspiration from some of BioWare’s older successes, like Neverwinter Nights and Dragon Age: Origins. So yes, the excitement is real for that one! Want to play along? Here are the questions, fit for either an article or a fantastic comment below! Thanks for reading, and I look forward to seeing your answers! I totally feel you on Pokemon Go. I had an experience a year or so ago with my fiance where he screamed at me that I had to pull over immediately while I was driving. It freaked me out because I thought he was sick or maybe something was wrong with the car. Then he says “there are three squirtles right over here” and proceeds to stare at his phone for five minutes. I like Dragon Age II more than Inquisition, personally. The story and characters kept me going in inquisition because I hated what they did to the gameplay in that game, it was basically an eighty hour fetch quest. Origins is still the best, though, and I stand by that. I only played Mass Effect because I was done with the Dragon Age series and desperately needed more Bioware. I don’t like it quite as much as Dragon Age, but I’m pretty sure those series are both in my top five series of games, so I guess that’s okay! Thanks for your comment!! And Yikes! How frustrating…. I think I might have enjoyed DAII more than Inquisition, because despite the reused environments it felt like a very tight story and, of course, the characters were fantastic. I agree that neither can touch Origins, though! I am torn; as a whole I think Mass Effect had a more cohesive story across the three games, since it was originally conceived as a trilogy, but Dragon Age: Origins is my all-time favorite game so it’s really hard to choose haha. But yes, I think any “favorites” list that has both Dragon Age and Mass Effect on it is okay in my book! You are instantly my best friend :P. That’s my favourite game on the NES and honestly, I don’t get the hate? Oh well. Hopping Sword/Down-Stab move FTW! :D.
This was neat to read and I liked the questions you I might end up doing this myself, but in the far, far future :P.
LOL, I pressed post without finishing! What I meant to say was that I liked the questions you asked. Oooo… Waylanders looks cool! Generally, new games have been nothing but disappointments to me lately so meh to hype. This is a cool post idea. I’ll throw it on my Blogging To Do list. Oh goodness I will probably have to do this at some point! Thanks for doing this. XD That was a fun list to ready through. No lie. It’s a fun tag!! Glad you enjoyed reading it, and I’m looking forward to seeing your answers! 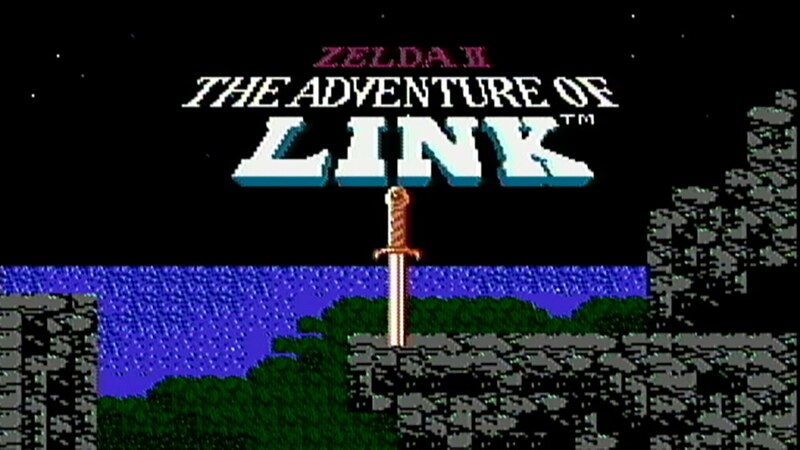 I watched a Let’s Play of Zelda II and it was different from the first, but it didn’t seem terrible. In terms of gameplay it was better in execution than Final Fantasy II, which has an absolutely DREADFUL leveling system. It was interesting to see Zelda as a side scroller. It almost seemed like they were trying to incorporate Mario elements into it. Also Wand of Gamelon is WAY worse (or so I’ve heard). I really like the game, and there are a lot of “things” in it that were worked into future games, so I think, if nothing else, it helped establish what is a “Zelda game” and what isn’t. But yeah, it’s a good game, and to judge from the let’s play I saw of Wand of Gamelon and The Faces of Evil are… yeah they are their own category, for sure. In that regard it’s definitely like FFII which established a lot of things in later Final Fantasies. It actually had a story as opposed to the more D&D aspect of the first one. The only major problem with it was the level up system, so even “bad” games or “bad” aspects are still learning experiences.